Come kindle the spark of Divine Light dancing in our souls through zikr, turning, wazaif, walks in nature, singing, and living in spiritual community. We will dance with the formless and laugh at the word two! Karma Yoga V Campers participate in helping out around camp, increasing connection through service, and helping to keep costs low. 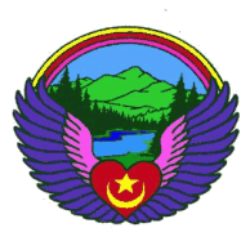 Camp Adams V 35 miles SE of Portland, with 210 mostly level acres of forest, creeks, indoor and outdoor classrooms, large meeting hall, and swimming hole. Housing: idyllic tent sites; cabins (some with kitchens). 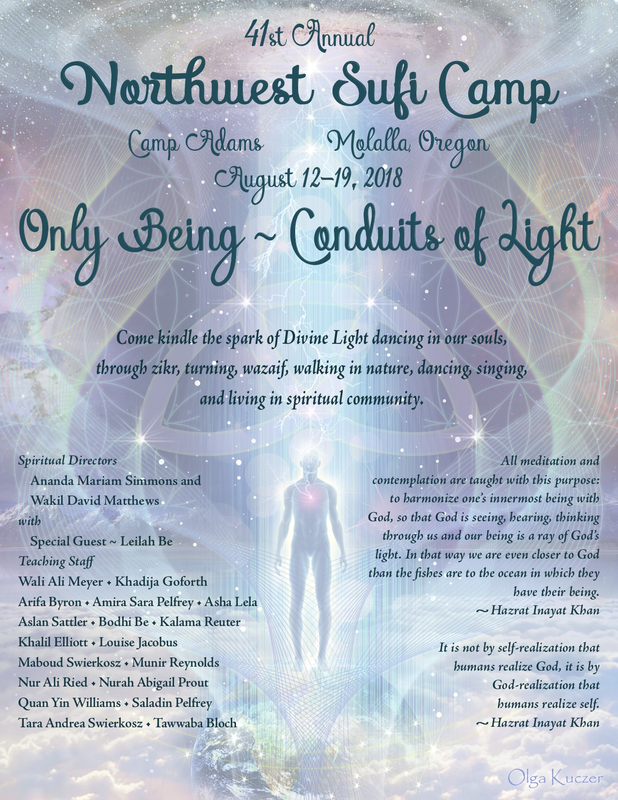 Health & Safety V Northwest Sufi Camp’s Board is dedicated to creating a safe and healthy camp for all participants, and asks that all share in this responsibility. The staff at NWSC is not equipped to handle adults or children who need significant supervision or behavioral control. Youth Programs V Youth are cherished and respected at NWSC. See website for information on youth programs. Financial Assistance V Low-income rate, work-trade opportunities, double karma yoga, and additional fee assistance are available for those in financial need. See website for more information, and to complete the online application. Apply early, as positions & funds are limited! All applications must be received by the July 31. Questions? Emailnwsc-fee@nwsuficamp.org. If you lack access to internet, call the Camp Manager for work-trade requests, or 971.221.9619 for other fee assistance.